Federal Government has concluded plans to distribute over 3 million prepaid metres to electricity consumers across the country. This followed the inability of Electricity Distribution Companies (DISCOs) operating in Nigeria to provide metres to its customers. 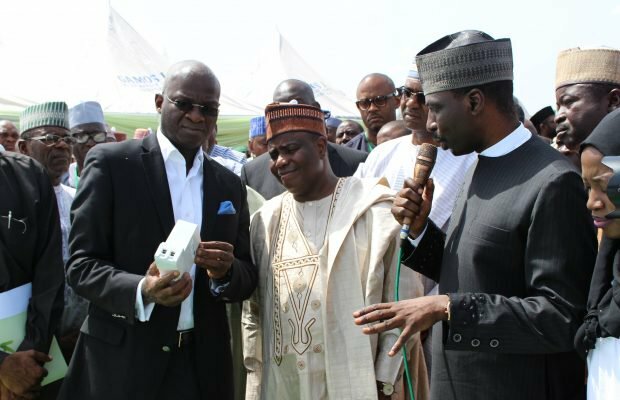 Minister of Power, Works and Housing, Mr Babatunde Fashola, told the News Agency of Nigeria (NAN) in Lagos on Sunday that this move was under the government’s intervention programme. He explained that the metres would have been supplied for long, but it was in court. “In 2003, the government awarded a contract for 3 million meters but they were not supplied. I inherited it, they were in court and I am trying to take it out of the court so that we can settle and start the supply,” Mr Fashola told NAN. He said further that, “There is a database of 6 million households; it is a faulty base because we have more than 6 million households in the country. “DISCOs need to go into these houses, do an audit to determine the type of meters to install. “If you have a wrong meter, you will pay wrong price or bill. A meter is both a safety device and a measuring device; it can under read or over read or cause fire if not properly installed. “But essentially, the DISCOs must provide meters, it is only fair and let the consumer manage his consumption and billing system because he has a meter,” he submitted. Mr Fashola said one of the problems of electricity in the country is energy wastage. He lamented that, “Some people will put on a 70 or 120-watt bulb as security light for 24 hours, including the daytime when they do not need it and it is because they have either stolen the energy or bypassed their meters.